Bertagna Goaltending will be working with CAYH again this season to help CAYH continue to lead the way in training and nurturing goalies. Clinics will be held starting in September 2018 at Talbot Rink. We currently have sessions scheduled through Christmas. ALL goal tenders will attend a first session in September and then goalies be split up by age/level and alternate weeks. 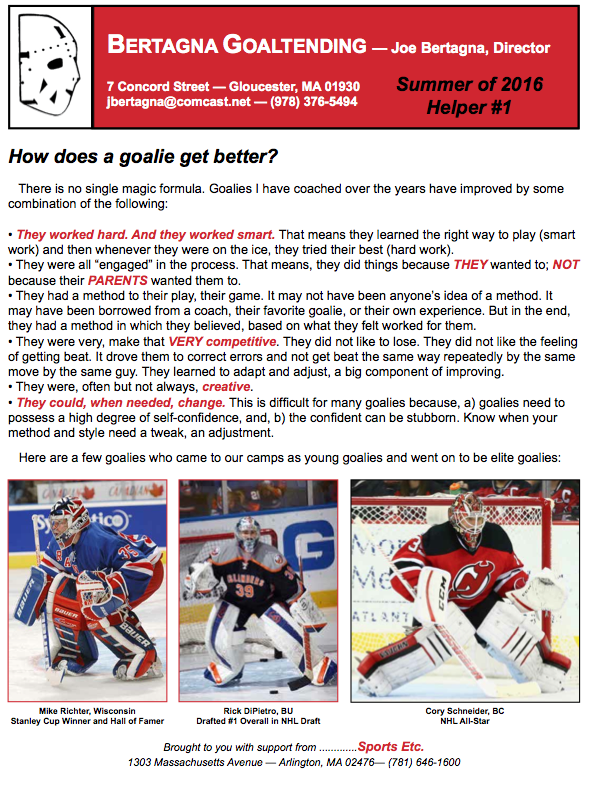 The schedule will be posted on this "Goalies" page of our website. Also Joe Bertagna will be holding his Coach the Coaches trainings in September. 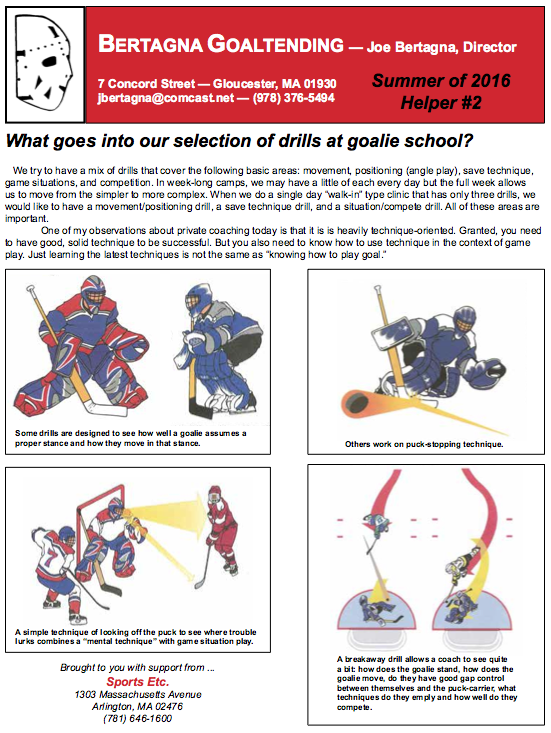 Dates, TBD, in the warm room at Talbot Rink and may be inviting some parents to talk about creating a good culture for Goalies in the program. Thanks for all you do to make this an excellent program and good luck with your season.